Productivity and efficiency have been the traditional indicators of business health and performance. What about creativity? Does creativity also impact the bottom line? Does it lead to more business success? In other words, do companies experience a Creative Dividened? Yes! 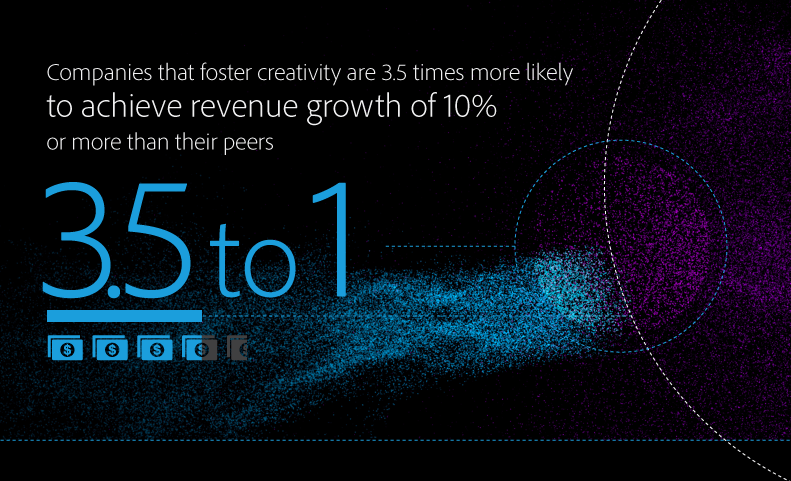 Companies that embrace creativity outperform rivals in revenue growth and market share. 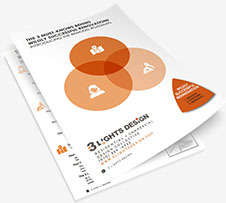 Despite the perceived benefit, 61% of senior managers do not see their company as creative. Companies that foster creativity are 3.5 times more likely to achieve revenue growth of 10% or more than their peers 3.5 to 1. Companies that embrace creativity enjoy greater market share and competitive leadership, outnumbering their fellow industry counterparts 1.5 to 1. Of those companies surveyed who were ranked highly for fostering creativity, 69% have received awards and recognition for being a best place to work. If you’d like to jump start your organization’s creativity, click here to get your FREE copy of The Creator’s Cheat Sheet. Interested in building a culture of innovation for your organization? Go here. And to download the full report from Adobe, go here.